Aimé Césaire (1913 – 2008) has left behind an extraordinary dual legacy as eminent poet and political leader. Several critics have claimed to observe a contradiction between the vehement anti-colonial stance expressed in his writings and his political practice. Criticism has focused on his support for the law of “departmentalization” (which incorporated the French Antilles, along with other overseas territories, as administrative “departments” within the French Republic) and his reluctance to lead his country to political independence. However, this perception of contradiction is misleading. A close reading of his poetic corpus and his published essays, such as the famous Discourse on Colonialism, supports an integrated view of his social thought and political practice. The key to arriving at a holistic view of Césaire’s ideological position is to be found, not only in his espousal of “negritude,” but also in his quest to achieve genuine “decolonization.” By his controversial support of departmental status, Césaire signaled early in his career that true decolonization should embrace not only the political and economic spheres (though he doubted Martinique’s ability to successfully “go it alone,” given the persistence of “neo-colonialist” control of global markets ), but also the domain of cultural values. The leaders of newly created independent African nation-states (such as the Senegalese, Leopold Senghor, his close friend from his student days in Paris; or Sekou Touré of Guinea, whom he celebrated in a lyric poem, “Guinée”) chose to follow the path advocated by Ghana’s Kwame Nkrumah in the slogan, “Seek ye first the political kingdom.” Césaire, on the other hand, understood in a very prescient way that “neo-colonialism” meant that economic exploitation invariably persists even after the hoisting of a new national flag. Image Credit: “Vector Calculus, in Cité Soleil, Port-au-Prince, Haiti”, Photo by Todd Hauffman, CC by 2.0, via flickr. For Césaire, then, negritude, as incarnated in the Haitian revolution, involves adopting a rebellious stance against the dehumanization of blacks. This theme is present in several of his plays, such as A Tempest, which explores the psychological complexity of the relationship between colonizer and colonized. In his brilliant recasting of Shakespeare’s play, the monstrous figure of Caliban is transformed into an articulate, subjugated native who plots a successful rebellion against his repressive master, the European Prospero. Césaire’s dual agenda was, at bottom, “moral” in conception. His consistent goal, as poet and politician, was to promote genuine equality for the blacks of his homeland in the sphere of public policy no less than in social relations. 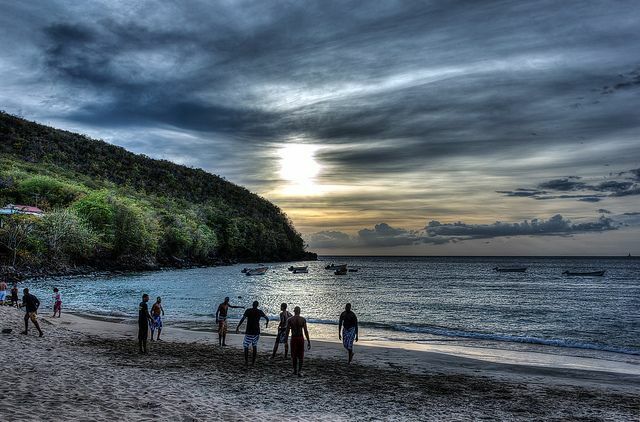 Image Credit: “Beach Soccer in Les Anses-d’Arlets, Marin, Martinique”, Photo by Selden Vestrit, CC by SA 2.0, via flickr. When I once asked him in a conversation in the mayor’s office what he thought of the radical independence movement (then centered in the sister island of Guadeloupe), he replied: “The French do not want independence.” Since the blacks of the French Caribbean were citizens of France, he was content to re-affirm the preference of the majority to retain their departmental status. For those who deplore this preference, I offer the following challenge: visit a few of the independent mini-states of the Caribbean archipelago and compare their economic and social progress with that of the Martinique bequeathed by the Césairean gadfly. Featured Image Credit: “Africa, Twilight, Botswana”, Photo by ralph_rybak, CC0 Public Domain, via pixabay. Gregson Davis is Professor of Classics and Comparative Literature at New York University, where his research focuses on the interpretation of poetic texts in the Greco-Roman as well as Caribbean traditions. He has taught previously at Stanford University, Cornell University, and Duke University. 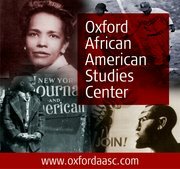 His published work includes a biography of Aimé Césaire (Cambridge University Press, 1997), translations of Césaire’s poetry (Stanford University Press, 1984), and the entry on Césaire in The Oxford Encyclopedia of African Thought, available online at the Oxford African American Studies Center.